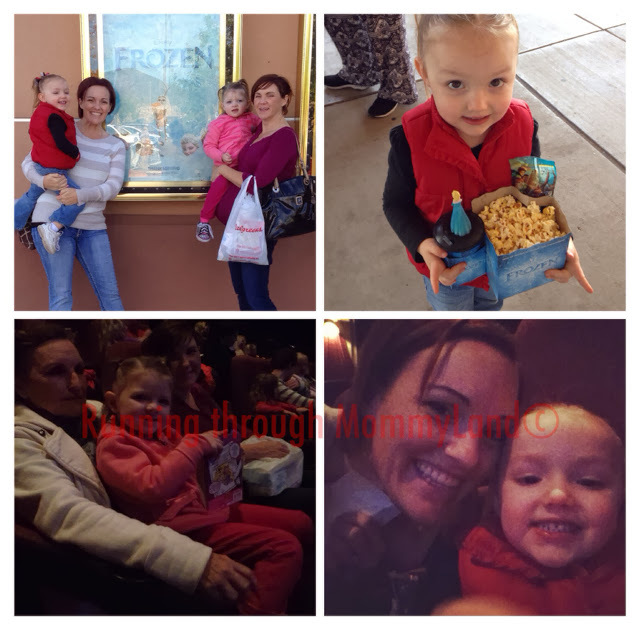 While my sister and her family were here visiting we got to go seethe new Disney movie Frozen. We all loved it. It was such a great story with lovable characters. Shelby is in love with Elsa. Shelby sat through the whole movie with no problems. A big double thumbs up from us.